The first day of my husband’s first deployment, I cried most of the day. 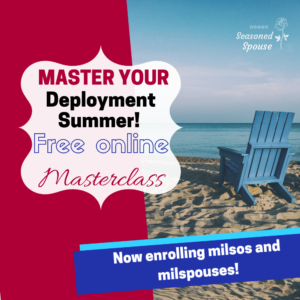 The first deployment is terrifying and intimidating, whether you are dating a service member or married to one. It doesn’t matter if they are going into combat or to a relatively safe location– this is going to be a challenging and emotional time for you. But I also know that you can survive it! So take a deep breath and read on. The worst part about preparing for deployment is not knowing anything. You don’t realize that the stress and turmoil begins during the work-ups–months before the deployment itself. You don’t know what to expect from this huge change in your life. And it’s hard to imagine life with your loved one in another country. So I’ll be honest with you; yes, some parts will be very hard. The more you know, the easier it is to handle the deployment. Limited communication: One of the biggest challenges and surprises of deployment is that there can be days or weeks without communication. Most of us are used to phone calls, texts, and Facetime almost every day. That is literally impossible in some deployment locations. 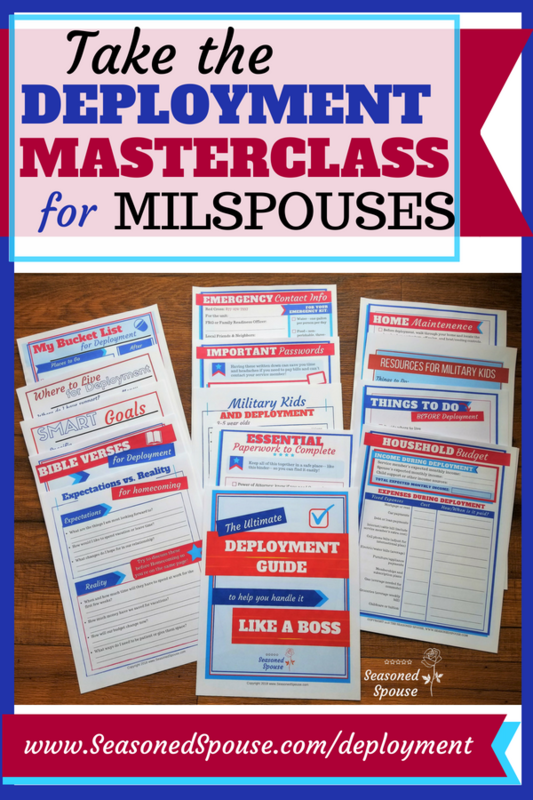 In fact, we usually suspend my husband’s cell phone plan the entire deployment to save money. When he gets to an area with Wi-Fi, he is able to contact me, but communication is generally one-sided: I can’t contact him. That means lots of time waiting for late-night calls, emails, or Skype invites. It means always listening for the phone to ring, and making sure the battery never dies. The pain and guilt of a missed phone call during deployment is heartbreaking. 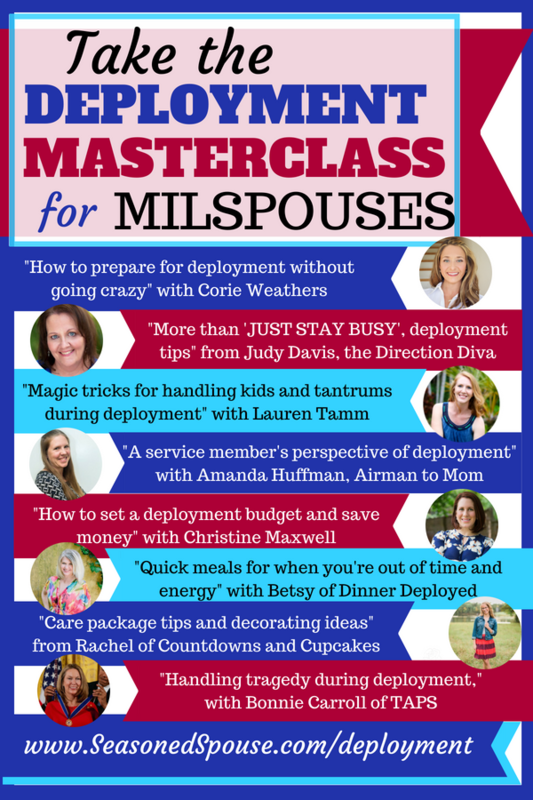 Learn more about what to expect from deployments from my 28-page Ultimate Deployment Guide! Ups and downs: There will be good days and bad days. You aren’t going to lay in bed and cry every day they are gone… but there might be some nights where everything hits you at once and that’s exactly what happens. It’s ok, and it’s perfectly normal. There will be other days where you figure things out on your own, try new things, and feel totally strong and amazing! That’s normal too. Just ride out the low points because you know those good moments will come, too. Boredom or Loneliness: If you are used to spending almost every day with your loved one, then deployment is a huge lifestyle change. Even if you have a job, college classes, a pet or kids, there will be quiet moments where you just feel completely lonely and bored. There are great ways to get through this (more about that in a minute), so just expect it ahead of time and know some strategies that will work for you. Exhaustion: Deployment is mentally and emotionally draining. It’s hard to describe, but the constant strain of worrying about your loved one, hoping for a phone call, and trying to solve all life’s problems on your own is incredibly hard. This weight can build up slowly so we don’t realize how much we are carrying, but it can be enough to break you if you aren’t careful. You have to take care of yourself during deployment–get enough sleep, eat nourishing food, have healthy friendships and enjoyable hobbies. Self-care doesn’t have to be a manicure or a shopping spree, but building time for own needs every day is what will keep you going through the marathon of deployment. 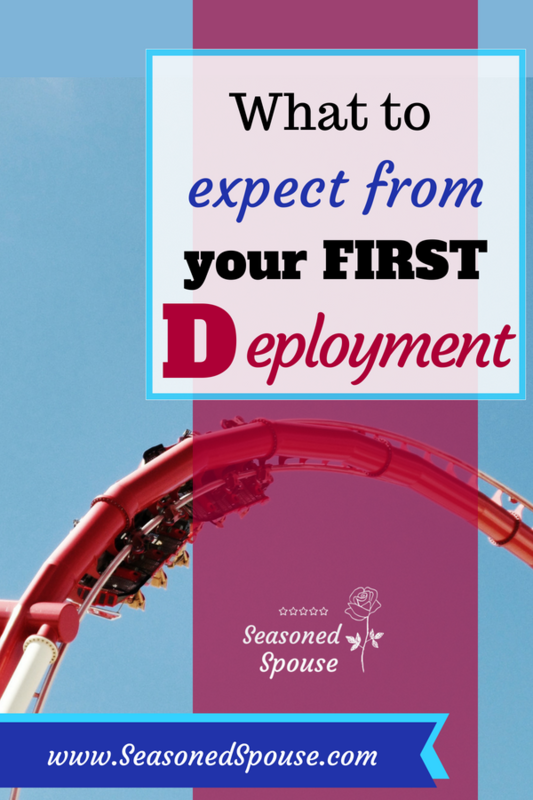 Reasons you will rock your first deployment! You aren’t alone. 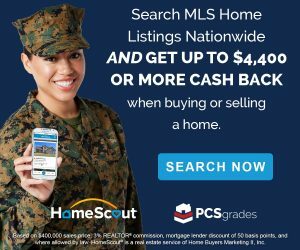 Whether you are living near a base or back home with family, you are surrounded by an online community of thousands of military spouses. Most of us have faced a deployment before. 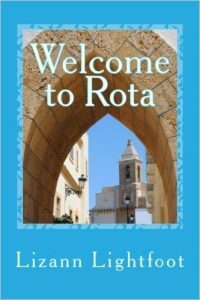 Read sites like this one (I have lots of deployment tips!) or read books written by military spouses. (Here are some of my favorites.) Find a military spouse friend you can call or text when you are having a bad day. Do NOT try to get through this alone–no one is that strong! 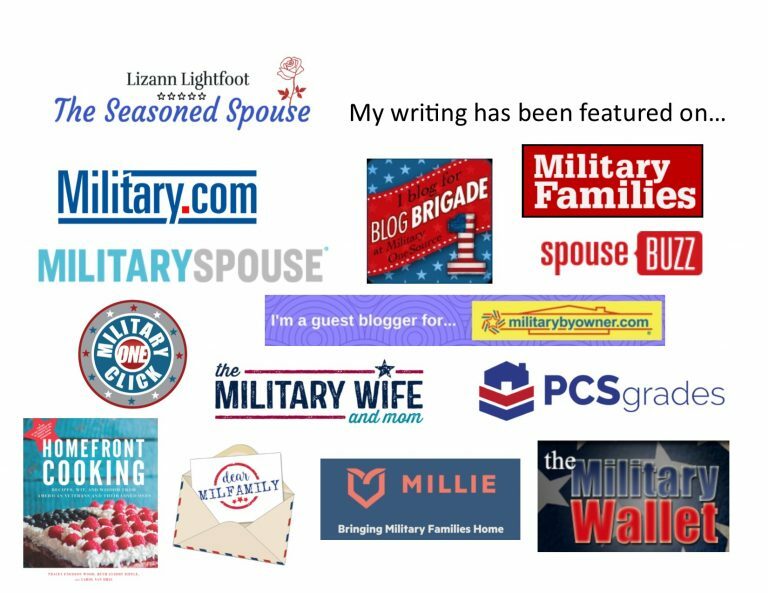 If you tap into the military community, you will find lots of sympathy and support. Technology is awesome. Even though it makes me sound old, I will say this–technology has made deployments easier. 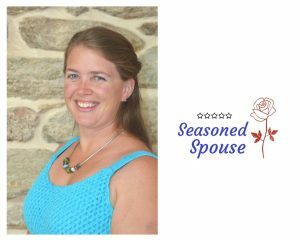 The first several times my husband deployed, we couldn’t talk on the phone for months. We could only send letters. I printed out pictures of the kids to send to him. Now times have changed. Email is available in most deployment locations. Wi-Fi at certain bases and ports makes Skype or Facetime possible more frequently. Find the apps or communication style that work for you, and those shared moments will make deployment pass more quickly. You will stay busy. Everyone’s number one advice during deployment is to stay busy. ‘Staying busy’ looks different for each person, but the truth is you are going to find a way to fill the time. For some people, just taking care of babies or family members is plenty of responsibility for a deployment. (No judgement, I’ve been there!) Other people use the time to take a class, pursue a new hobby, explore the area around their duty station, or do something on their bucket list. When you are setting deployment goals, keep them realistic, but don’t short-change yourself. You will never get this time back, so you may as well get something from it. There will be things to celebrate. My favorite deployment strategy is to always give yourself something to look forward to. It can be something simple like coffee with a friend or going for a walk in a different park. Or it can be something big like a trip you are looking forward to, or redecorating the house. I like to celebrate each month that passes. I also give myself a little pat on the back whenever I fix something that is broken or take care of an unexpected problem on my own. You can do that with a Post-It wall or just a social media post. Your love is deployment strong. No matter the distance or the amount of time you get to communicate, you know that deployment will end and that your love will be stronger than ever. Ultimately, that is what gets you through the long months of the first deployment. So hang in there, because you’ve got this! Get more deployment support and encouragement through my Deployment Masterclass.